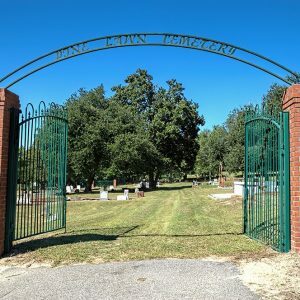 Aiken Colored Cemetery, established in 1852 in Aiken, is the principal burial ground for African Americans in the city. Many of those buried there were prominent leaders in the city and county from the mid-19th through the mid-20th century. The cemetery includes the graves of slaves, freedmen, Reconstruction politicians and office holders, merchants, bankers, lawyers, doctors, ministers and educators. The cemetery is listed on the National Register for Historic Places and is marked with a historic roadside marker that was sponsored by the Aiken County Historical Society in 2014.